As a proud member of the community, Niagara Helicopters is committed to flying neighborly. In the late 1990’s, Niagara Helicopters worked tirelessly with Bell Helicopter to develop “Quiet Mode”. This modification for the Bell 407 slowed the rotor in flight, substantially reducing the helicopter’s noise signature. In 2014, following several months of noise monitoring and community consultation, Niagara Helicopters partnered with Transport Canada to develop a revised flight path to further reduce our impact on the community. This modified flight path has been in effect since January 2015. When it came time to replace the aging fleet of Bell 407 helicopters, a major consideration was noise. This made the Airbus H130 the obvious choice. The H130 boasts a lower noise signature than the Bell 407, thanks to an enclosed tail rotor and variable speed rotor system, which both contribute to a reduced noise signature in cruise. Noise abatement is at the top of mind for pilots as well. 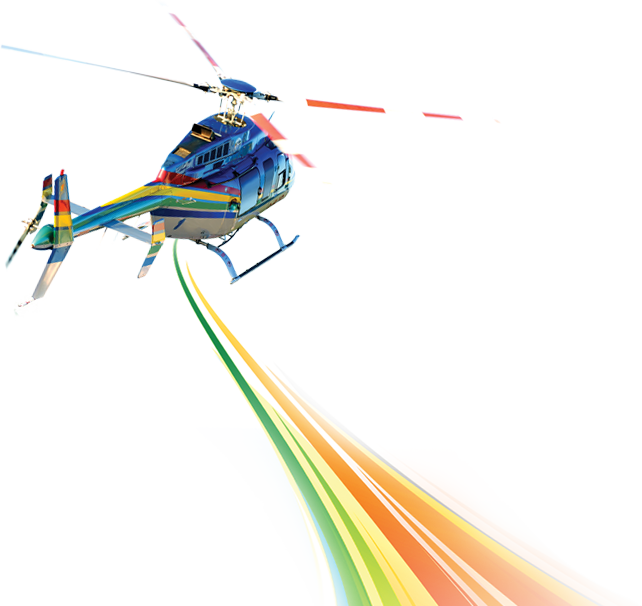 Initial and recurrent training programs focus on noise mitigation procedures, including techniques recommended within the Fly Neighborly Guide, issued by the Helicopter Association International (HAI). Also, pilots must always comply with the Canadian Aviation Regulations, governed by Transport Canada.